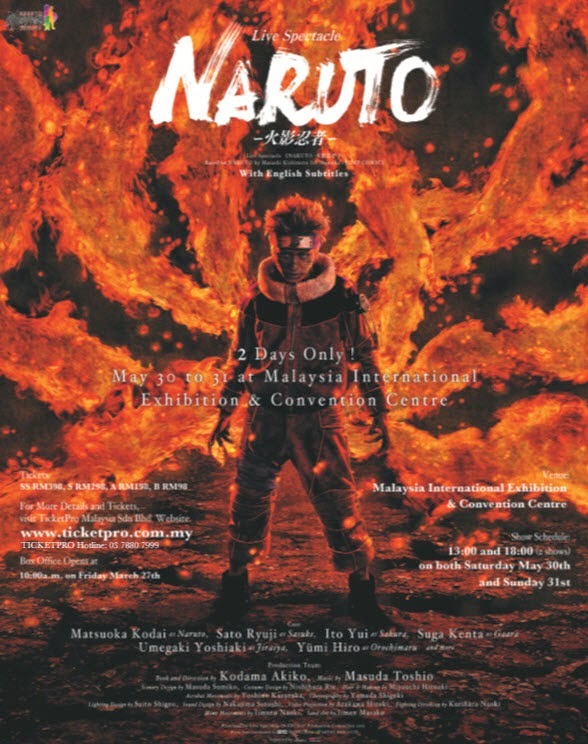 [Upcoming Event] ‘LIVE SPECTACLE 《NARUTO -­‐火影忍者-­‐》’ HITS MALAYSIAN SHORES! Kuala Lumpur, March 2015 - Naruto, one of the world’s biggest and most recognizable manga series is coming LIVE to Malaysia! 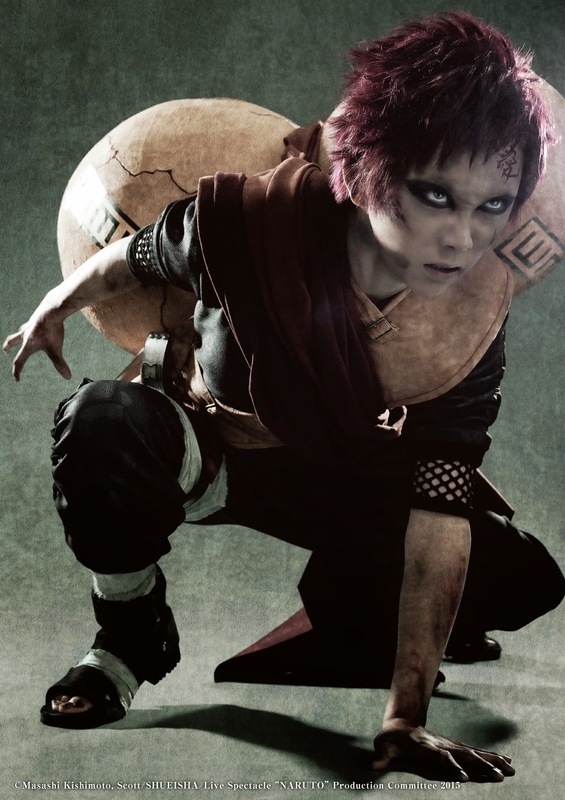 Since its inception in 1999 and final issue in 2014, Naruto is without a doubt one of the most popular manga series in all of time, and it is now being adapted into a stage show. The inaugural Live Spectacle 《NARUTO -­‐火影忍者-­‐》 World Tour is produced by the original producer of the series, Masashi Kishimoto, and will feature the latest technology in imaging, lighting and staging. The most exciting part about the Southeast Asian leg of the tour is that it hit our very own Kuala Lumpur. Presented by JS Concert Productions Sdn. Bhd, Live Spectacle 《NARUTO -­‐火影忍者-­‐》, plays at the Mines International Exhibition & Convention Centre (MIECC) on 30th May and 31st May. Tickets are available at www.ticketpro.com.my starting Friday, 27th March 2015. For more information, visit www.jsconcert.com or www.facebook.com/JSConcertProductions. The one-of-a-kind show will use unprecedented techniques in action, music and visual art to bring the show life and thrill audiences the world over. Fans will be embarked on a magical journey throughout the show, experiencing first-hand what it is like to be part of the magic of manga. Directed and adapted by Akiko Kodama and with music by Toshio Matsuda, the show will also feature music, acrobatics and stories from Volumes 1-17 of the original manga. 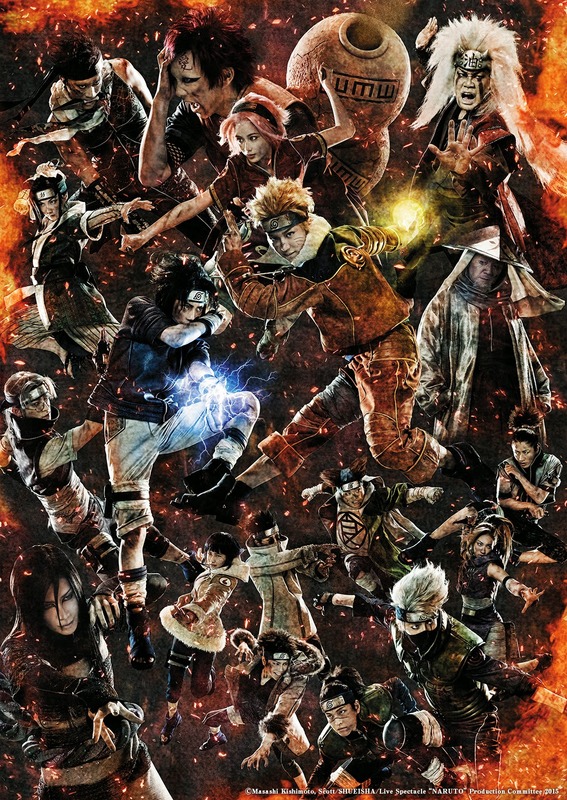 The stellar cast of actors includes Matsuoka Kodai as Naruto, Sato Ryuji as Sasuke, Ito Yui as Sakura, Suga Kenta as Gaara, Umegaki Yoshiaki as Jiraiya, and Yumi Hiro as Orochimaru. Behind the scenes of the show are Masuda Sumiko (Scenery Design), Nishihara Rie (Costume Design), Miyauchi Hiroaki (Hair & Makeup), Yoshino Kazutaka (Acrobat Movement), Yamada Shigeki (Choreography), Saito Shigeo (Lighting Design), Nakajima Satoshi (Sound Design), Arakawa Hiroki (Video Projection), Kurihara Naoki (Fighting Direction), Iimuro Naoki (Mime Movement) and Iimen Masako (Sand Art). One of the longest-running manga series in history, Naruto has printed over 200 million copies and is the third-best selling manga series of all time. 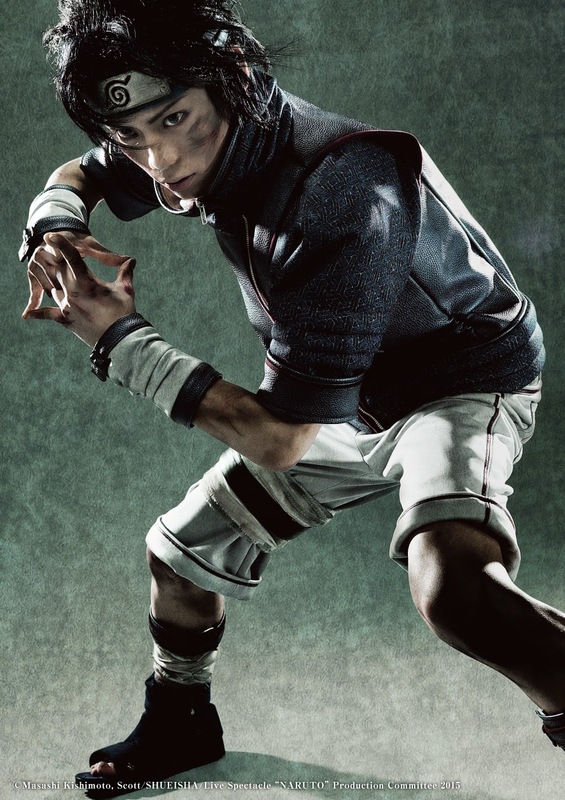 Available in over 35 countries, the comic was also adapted into a popular TV series and most recently on film, in “The Last Naruto Movie,” which hit theatres in December 2014. 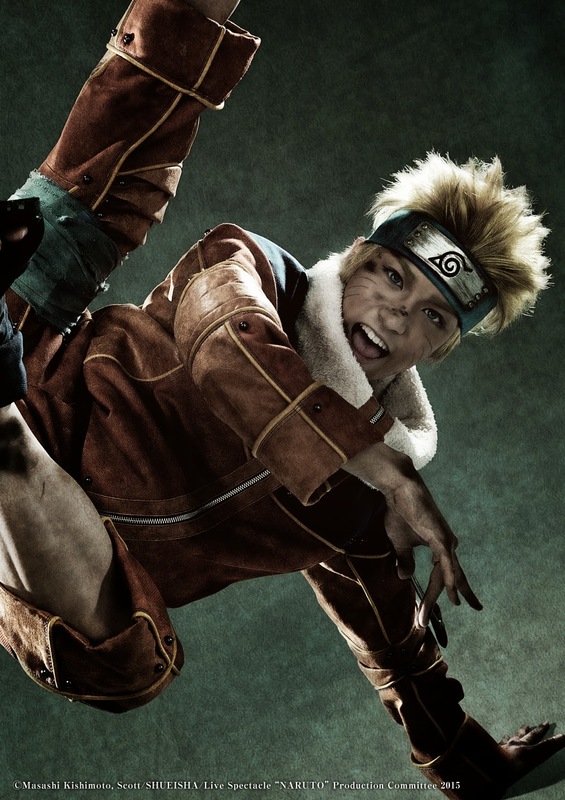 From a manga series, to a TV series and a film and now, a musical stage adaptation, Naruto is set to live in the hearts of its fans forever.